Remember this picture? It might look like a museum image of pre historic man but it’s a rock located in the Cydonia region of Mars. JPL scientists made the discovery of the "Face on Mars" in July of 1976 while searching for a landing site for the Viking 2 Lander. Wanting to give the public a familiar looking feature, they released the image to the tremendous delight of the daily tabloids who ran with headlines suggesting ancient intelligent life had been found on Mars. Of course it all ran amuck a few years later when on closer inspection the imagined eyes, nose, and lips, turned out to be nothing more than peaks and ridges. The search for life continues! I call it the Microscope syndrome – a saying I made up last weekend when I was flooded with calls from reporters wanting comments on the 3% drop in the weekend clearance rate to 78%. The questions didn’t surprise me, newspapers have to sell, and property editors have to find a new angle to explore each week. Therefore out comes the microscope and the blown up picture is used as conclusive evidence for a brand new theory of property evolution. I’m sure my comments disappoint them all - they go in direct contrast to the angle the editors are taking, one that suggests the property balloon is about to burst. It’s a dangerous concept to promote because however strongly Australia has faired over the GFC the memories remain and people are susceptible to media suggestion. We can see GFC aftershocks affecting Europe, and there are also those who suggest China will fall at some point and we should therefore not assume our strong economic position is set in stone. So investors have a right to be understandably concerned where they place their income, and confidence plays an important part in the choices they make. We can see this in the stock market, nothing more than a rumour can cause a sudden dip over night. The herd mentality kicks in and like sheep to the pen, or rats from a sinking ship, panic sets in! However real estate is not comparable to the influences that affect the stock market, so let’s take a backward step - throw out the microscope and view the big picture. Our population growth underpins our market – I’ve spoken many times about our booming population and the effect it has on our housing market. Short of a natural disaster of immense proportions or a new law restricting the amount of children each family is allowed to have, it’s not going to change any time soon. The demand for houses – particularly close to the city - is vastly beyond the supply Melbourne is currently able to offer. And while variables in the economy have an effect on certain areas of the market – particularly the first home buyer sector (which incidentally makes up less than 30% of property purchasers) - the need for well located accommodation will be resilient against economic factors. Further more, real estate is as essential to our every day life as food and water. We all need a place to stay. If there aren’t enough properties to house our growing population we can simply put 2 and 2 together and assume quite safely that demand will remain strong and weather the in coming storms. Interest rate rises of course have an effect on affordability and will play a part on the rate real estate appreciates, however they won’t stop the wheel turning and reverse prices to pre 2007 levels. For the reasons I state above, real estate has historically never gone down over a ten year period, and any arguments put on the table to suggest its about to happen and ‘a bubble will burst’ need to be backed up with more than a blown up microscopic view. Do not be fooled into thinking prices will drop – there is simply no room for them to do so, demand is too high in those suburbs offering good proximity to the CBD with transport and infrastructure – basically where everyone ideally wants to buy. If affordability is putting pressure on first home buyers struggling to get their foot in the door, it also puts pressure on the rental market as those who can’t afford to make the move will rely on leased accommodation which is also not plentiful. Therefore it’s good that we have incentives to encourage property investment – and this is where a large part of buyer demand comes from. A new survey has revealed, more than two in three (61%) homeowners said they plan to access the equity in their homes to buy an investment property, compared to just 12% of respondents who said they would not tap equity - according to the Australian Bureau of Statistics, the total spending on housing financial commitments jumped by 10.1% compared to the previous year, so the market is a long long way from being dead. Investors are the winners in the property game. As rates rise, so do rents to cover the short fall. As the population increases, and supply struggles, prices rise and capital growth shows healthy returns. As always, the ones to suffer are low income families and home buyers who can’t afford to purchase, and these are the people who are the sacrifice of the RBA’s rate rises. The advice is the same as always, if you have the finance to purchase, it’s better and cheaper to do so today, than wait for tomorrow. If you’re still concerned by microscopic forecasts put this fear to one side and understand that like the tide, markets go through what I like to term as an ebb and flow – sometimes the tide is stronger, and sometimes weaker, and we have no control what so ever over the short term influences that affect this pattern. Short term forecasts only affect those who buy today and sell tomorrow – and whether it be stocks or real estate such high risk investment is always a volatile option. It is worth mentioning that as positive as our property forecasts are, there is still a need to be careful where and what we choose to purchase. Not all suburbs will perform at the same rate, and not all real estate is a good investment. If you can see the wisdom in getting investment advice when it comes to the money market, then you should also see the need in hiring an expert to advise where the returns are greatest in real estate. Needless to say, hiring JPP is getting an expert on your side. The clearance rate has taken up residence in the 70% zone. The whole market is faltering. Economists and market analysts will soon be talking about 40% drops in the market place again. AND AGAIN THEY WOULD BE WRONG!! There were over 1100 sales for the week and although this was down on the 1300+ last week, it is still a huge transaction week for May. There are still two more weeks in May to go and I would expect the clearance rate to remain below 80% but if the sales numbers continue at this rate, then the market is actually not cooling off. Whilst we have seen a lessening of the ridiculous bidding at auctions seen throughout March and April, properties are still selling, and selling well. If a property is worth $1.2M then it is highly likely to sell around $1.2M. not $1.3M which occasionally happened earlier this year. For both Vendors and Buyers alike, the calibre of your agent will now become paramount. More and more property will pass in. More properties will have one buyer not four. Selling agents will be left sorely wanting if they are not prepared to negotiate. Buyers however, need to understand the real value of the property they are going after. If they do and they are adept at negotiation then the number of sales will continue to set records this year. If you are considering purchasing a property you should consider the advantages of using a buying agent. We have access to property data that members of the general public cannot access, such as private sale data (ie properties that were not auctioned). We can give a very accurate appraisal of the property you are considering. We are also professional negotiators. Most people will purchase maybe 2 or 3 properties in their entire lives, we are involved in hundreds every year. Please feel free to call for a no obligation first meeting. Located 16kms north east from the Melbourne CBD. Whilst still being so close to the city, it gives you the feel of being a lot further away from all the hustle & bustle. Access to & from here are easy via the Western Ring Road. Public transport is serviced via the Greensborough train station, which is on the Hurstbridge line. Buses are very regular to make life easier to get from here to there also. The surrounding suburbs make Greensborough a very sought after area, including Diamond Creek, Eltham, St Helena to name just a few. From the moment you see the tree lined streets to the fantastic Greensborough Plaza for all the shopping requirements you should have, you are made feel very welcome. 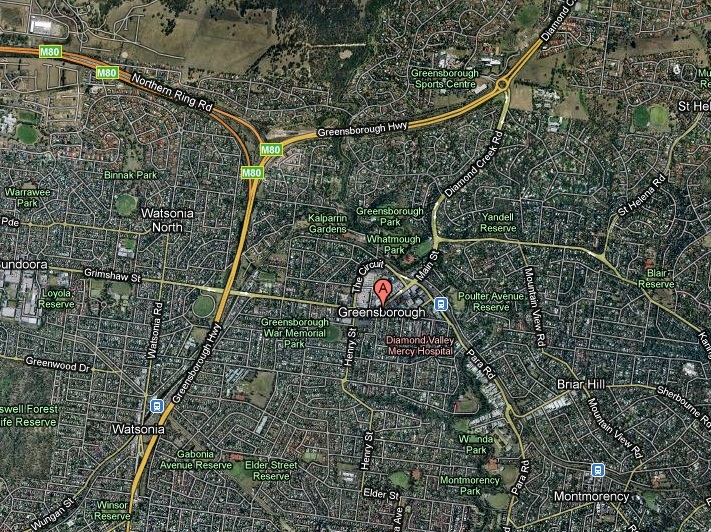 With a good choice of public & Private schools in the area, These schools also service surrounding suburbs to Watsonia. The suburb was named after settler Edward Bernard Green who was also the district mail contractor. Formerly it was known as Keelbundoora, Aboriginal for "a round swamp" The township was established in the late 1850s, with the Post Office opening on July 17, 1858. Properties in this area are a mix of modern and estate style homes. Greensborough has many new plans beginning to update & make the area greater, you can see all these plans on there Banyule council website, the link is below. The strong Victorian property market and a $303M increase in stamp duty receipts has helped ensure a healthy balance sheet for the State Government in 2009-2010 and highlights the need for stamp duty reform. REIV CEO Enzo Raimondo said the REIV welcomes increased grants for first home buyers of a new home and calls for urgent stamp duty reform to assist home buyers paying more than their fair share in stamp duty. Recent Changes to the Foreign Investment Board rulings. 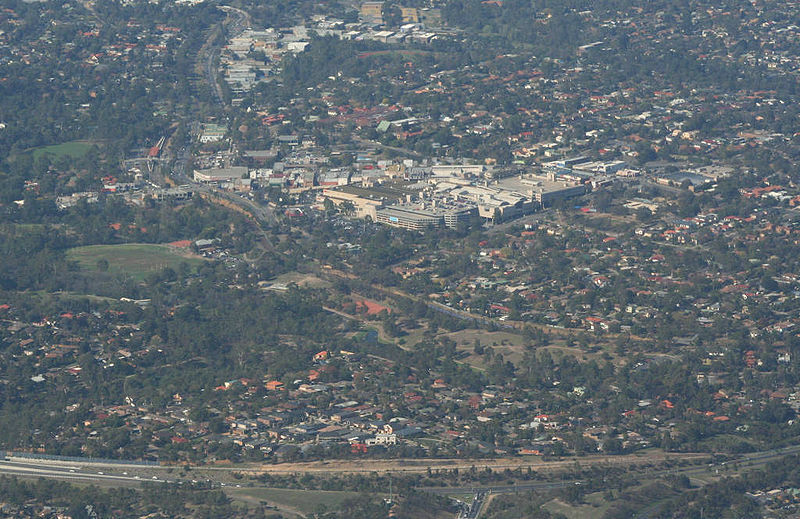 Residential real estate means all Australian residential land and housing other than commercial properties (such as, offices, factories, warehouses, hotels, restaurants and shops) and rural properties (that is, land that is used wholly and exclusively for carrying on a substantial business of primary production). Acquisitions of ‘hobby farms’ and ‘rural residential’ blocks by foreign interests are considered to be residential real estate. The Government seeks to ensure that foreign investment in residential real estate increases the supply of dwellings and is not speculative in nature. The policy seeks to channel foreign investment in the housing sector into activity that directly increases the supply of new housing (that is, new developments such as house and land, home units and townhouses) and brings benefits to the local building industry and its suppliers. This new software should launch at the same time the new iPhone comes out which is usually mid year for Australia. It is the best use of Augmented reality I have seen yet! 1. Preheat the oven to 180 degrees (170 degrees fan forced) Lightly grease a muffin tin. Using a pair of scissors remove all the crust from the bread slices (*see hint below). Using a rolling pin, flatten bread slices and place each one into muffin 'cup', pushing it down to mould into shape. If there are any overhanging bits just fold the excess into the centre and press to the side (the bread will stick to itself). 2. Place bread cases into oven and cook for 10-15 minutes, or until light brown in colour. Remove bread cases from the oven. 3. Place the diced chicken, diced tomato, cheese and chopped parsley into the cooked bread cases. Mix together eggs and milk in a jug and pour into bread cases on top of the fillings. 4. Return the filled bread cases to the oven and cook for 20 minutes or until set. Remove the quiches from the oven and let cool for 5 minutes on a cake stand. 5. You can serve these quiches as a snack or add a side salad and serve as a meal. *To make your own bread crumbs – put the left-over crusts on a baking tray and cook in a 120° oven until lightly browned, dry and crisp. Remove crusts from the oven and allow to cool before blending in food processor or blender. Store in an air tight container or place in the freezer. Other possible fillings include: lean diced ham/tomato/cheese, salmon/tomato/onion/fresh herbs, tuna/cheese/sweet corn, ham/pineapple/cheese, ricotta/spinach/onion. 1. Write "X - BURIED TREASURE" in random spots on all of someone's roadmaps. 2. Inform everyone you meet of your personal Kennedy assassination/UFO/ O.J Simpson conspiracy theories. 3. Repeat the following conversation a dozen times: "Do you hear that?" "What?" "Never mind, its gone now." 4. Light road flares on a birthday cake. 5. Wander around a restaurant, asking other diners for their parsley. 6. Leave tips in Bolivian currency. 7. Demand that everyone address you as "Conquistador." 8. At the Laundromat, use one dryer for each of your socks. 9. Wear a cape that says "Magnificent One." 10. As much as possible, skip rather than walk. 2. Bulls are colour blind, it is the motion of the cape which angers them. 3. Cheese is the oldest of all man-made foods. Q. What is the significance of the following: The year is 1978, thirty-four minutes past noon on May 6th. *Answer to brainteaser - The time/month/date/year of an American style calendar are 12:34, 5/6/78.